Tap between 1 and 2 area to zoom. Tap day dial to cycle dial colors. Tap 24 hour dial to cycle modes. Tap seconds dial to park hands and start/stop chrono. 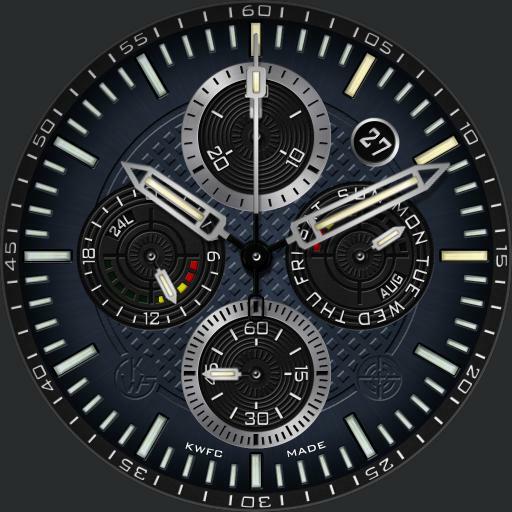 Tap sw minutes dial to unpark hands and reset chrono. 24 hour dial is chrono hours in chrono mode. Left gauge is watch battery and right is phone battery.